I like to cut hinge mortises on the router table, but sometimes it’s a challenge to start and stop the cut at the right place. 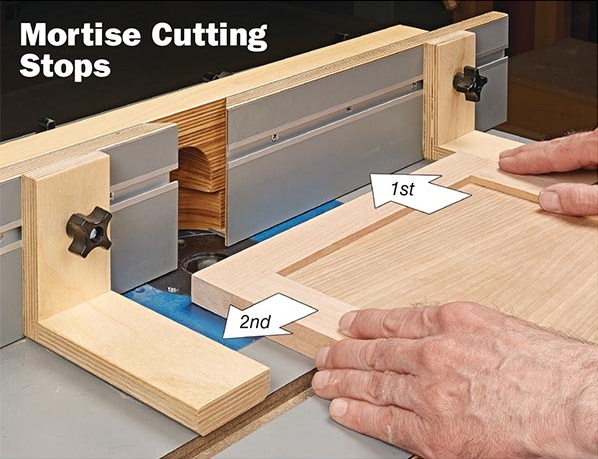 These L-shaped stops establish both ends of the mortise and provide a stable starting point for each cut. Each stop is made by joining two pieces of stock at a 90o angle. 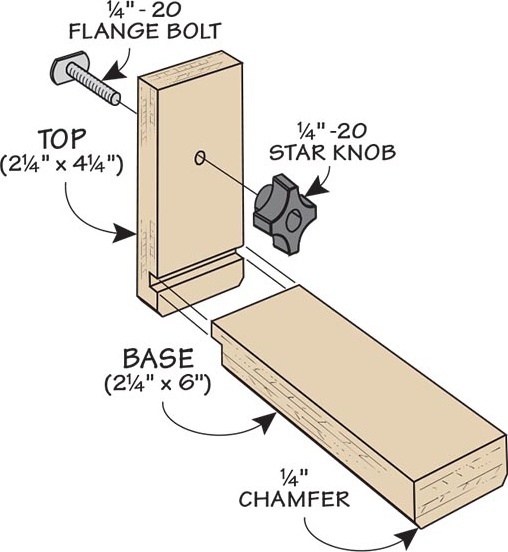 If you don’t have a T-track on your fence, you can clamp the stops to the router fence instead of using flange bolts. The drawing you see here shows you how to set up and use the stops. Start by placing the board against the right bracket, push it into the bit until it contacts the fence, then slide the workpiece toward the left stop. Pull the workpiece away from the fence and remove any waste by carefully routing back and forth. 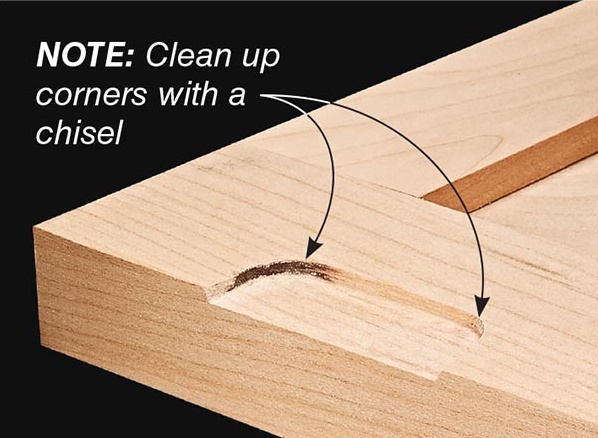 Clean up the corners with a chisel.